Newcastle’s variety of markets give visiting the city that additional edge, with everything from food to vintage clothes on offer. Check out the best markets in Newcastle below! Grainger Market is a picturesque hall in Newcastle which is proudly open all year round. At present, there are over 100 local businesses trading in the market, with everything from jewellery to meats on offer. One of the most respected in the region, Newcastle Farmer’s Market takes place on the first Friday of each month on Grainger Street in the city centre. Showcasing a fine range of locally sourced produce including bread, meats, cheese and jam, Newcastle Farmer’s Market is typically by local people, for local people. Just a 25-minute drive from central Newcastle is Tynemouth Flea Market, a free-to-enter market in Tynemouth Station. One of the biggest market events in the North East, here you’ll find an array of local products for sale, including antiques, craft, bric-a-brac and so much more. On the third Saturday of the month, local farmers hold stalls selling local fruit and vegetables. Every third Saturday, Jesmond Food Market takes over Armstrong Bridge and Jesmond Dene with a showcase of locally sourced produce including, breads, cheeses, jams, flowers, cakes and street food. 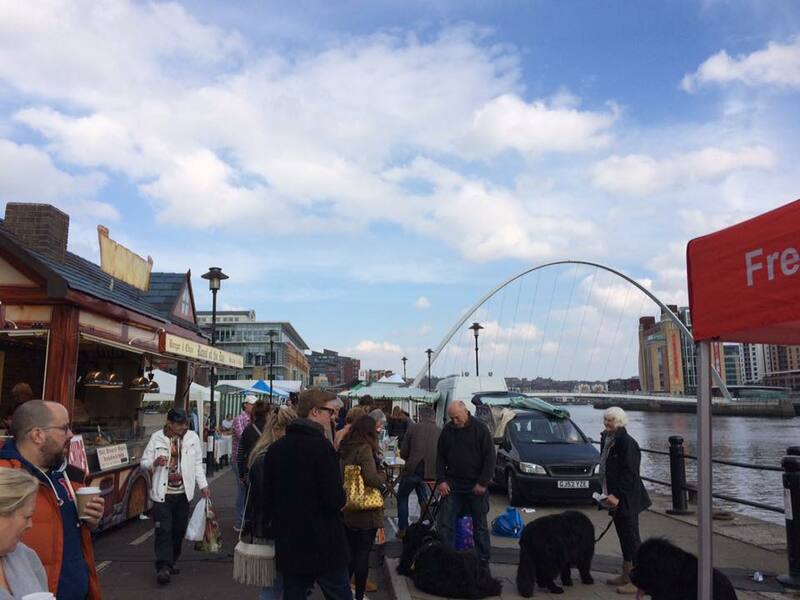 Set in the picturesque location of Newcastle’s Quayside, each Sunday the area is taken over by independent traders selling handcrafted goods and the freshest local produce. Whether you’re after some handmade jewellery or fresh fruit, there’s no better location to pick it up. One of the most diverse Christmas markets in the country, the International Christmas Market celebrates culture from across Europe. Offering food and drink from the likes of Germany, Spain and Holland, visitors can expect an authentic European experience while at the same time being immersed in the festive spirit!